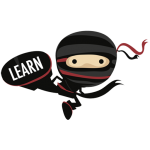 View directions for accessing Live Lesson on myLearning. Staff if you are seeing this please contact the eTeam for an updated page. Info: AP Human Geo – Basic Concepts, Big Ideas, AP exam specifics & review – part 2. Info: Join us in preparing for the state mandated Biology EOC! We will be reviewing topics from the whole course each week leading up to the assessment. There will also be practice problems and test taking tips for you! Live Collaboration – American Sign Language Students Only – 6th-12th – Live Lesson Day Blitz! Eight 30-minute sessions in one day! Info: On Wednesday, April 24th, I will be hosting a 30-minute live lesson 8 times in one day! 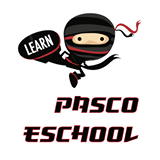 These times are set to coincide with bell schedules for Pasco high schools so you can attend one of the live lesson sessions while you are in your lab period! The session times are as follows: Session 1: 7:40-8:10a Session 2: 8:40-9:10a Session 3: 9:35-10:05a Session 4: 10:30-11a Session 5: 11:25-11:55a Session 6: 12:20-12:50p Session 7: 1:10-1:40p Session 8: 2-2:30p You will learn about nouns in ASL! Please make sure you are logging into the live lesson room 10 minutes before the live lesson begins. DOORS WILL CLOSE PROMPTLY AT THE LESSON START TIME. Info: We will complete assignment 11.05 for forensic science. During the live lesson, we will investigate 3 different scenarios by using our knowledge of physics to determine whether it was murder or an accident. Info: Have questions about the U.S. History EOC? This session will go over the structure of the EOC, some of the topics covered, and give you a chance to answer some practice questions. Hope to see you there! Info: Come and join us if you wish to learn how to report weather in ASL. Please use the following link to enroll in Goutoufas Live Lesson at least 24 hours in advance: https://pasco.instructure.com/enroll/YEJ6PL Feel free to text me at 813-922-8214 if you have any questions about the live lesson. Info: AP Human Geography students are invited to attend this live lesson to review the main topics covered in the APHUG course, prepare for the upcoming AP exam, collaborate and study with peers, and practice their skills and knowledge of the course content in our session and after with take-home activities for study. Who Can Attend: All Students, in grades(s) 6th-12th. Info: Learn tips and tricks to recognize and execute fingerspelling with accuracy. Best for current ASL students. Non-ASL students will learn the alphabet and basic fingerspelling skills. Info: AP Government & Politics students are invited to attend this live lesson to review the main topics covered in the APGOV course, prepare for the upcoming AP exam, collaborate and study with peers, and practice their skills and knowledge of the course content in our session and after with take-home activities for study. Info: It’s a Mystery! Come have some fun and wrap up the year with a review of English concepts. Reading, grammar, writing, aren’t they all a blast? Or is it just the mystery drawing you in…..
Live Collaboration – All Students – 9th-12th – TXT is NBD, right? Info: Texting while driving is “no big deal” right? Come learn about common distractions, laws concerning distracted driving, and how to prevent them. This lesson can satisfy the 5.02 assignment for Driver’s Education. Live Collaboration – All Students – k-12 – Let’s Taco ‘Bout Cinco de Mayo! Info: Learn what Cinco de Mayo is and how & why it is celebrated in the first place. Info: Numerical incorporation takes place when you incorporate a number into a sign. Instead of signing 2 and HOUR you can sign HOUR with the number 2 to mean 2 HOURS. Wait, what? Confused? Come hang with me and learn all about it. if not a student of Dawes, text. Info: Prep for the AP exam. Info: Refresh on the steps to add, subtract, and multiply polynomials! Info: Gain a better understanding of the Math for College Readiness modules and assignments! Live Collaboration – Spanish Students Only – k-12 – Would You Like to Study Abroad One Day? The benefits and challenges of studying abroad. Info: Learn the benefits and value of studying abroad in high school / college.